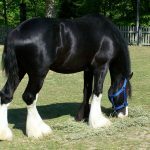 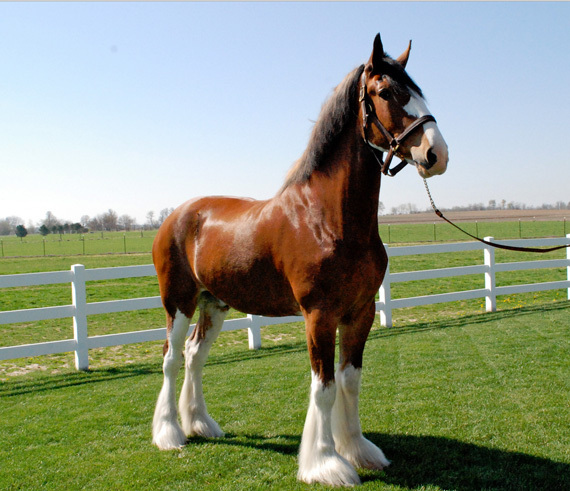 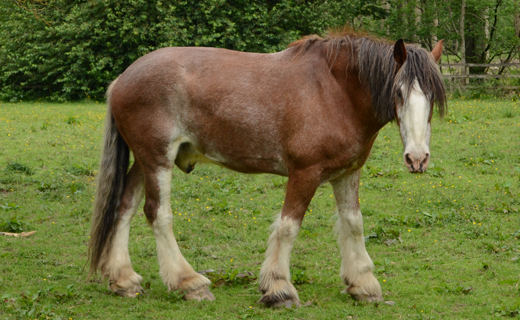 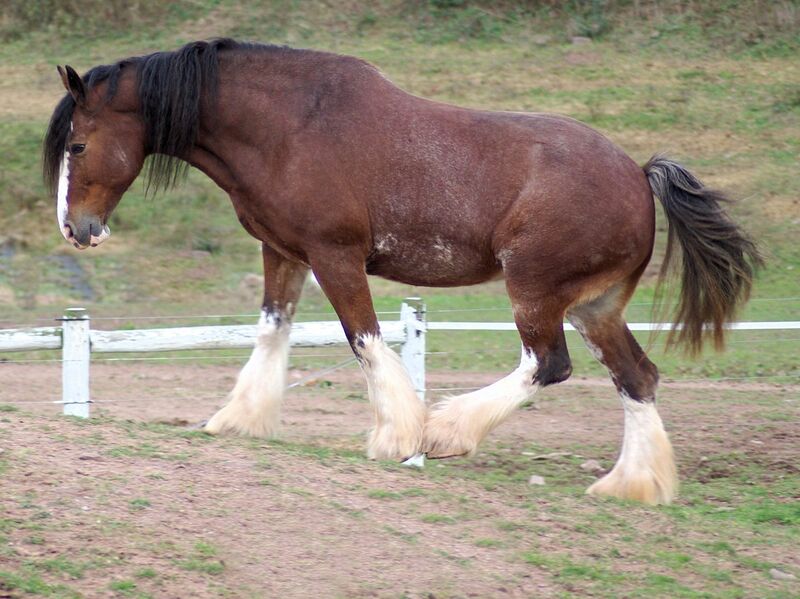 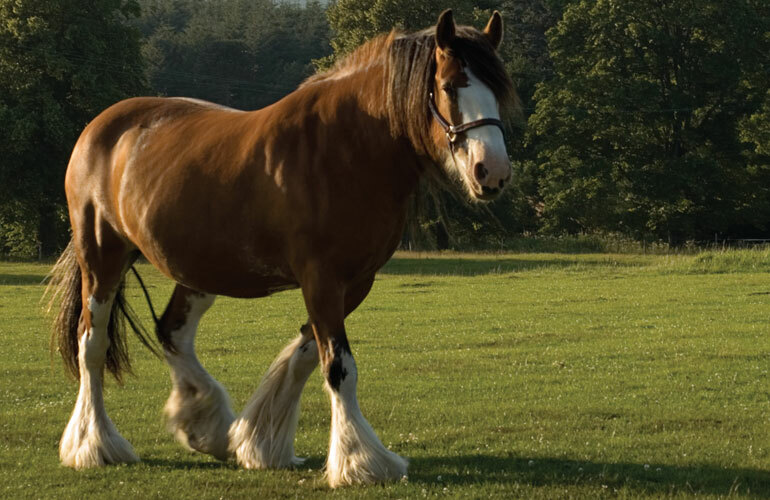 The Clydesdale Horse is one of the most popular draught horse breeds of the world that developed in Scotland. They developed as one of the smaller draught horses, but at present, evolved as a tall breed.Known for their high-stepping leg movement, elegant and royal charm, this horse is characterized by the silky feathers behind their hooves, and the presence of significant white marks on the nose, head, and feet. 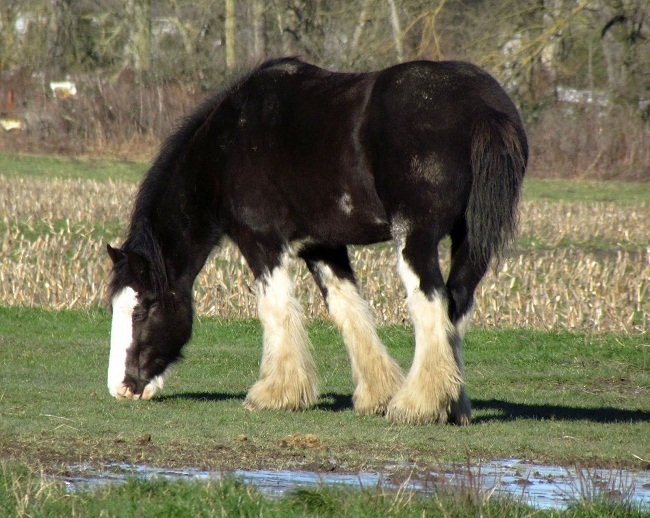 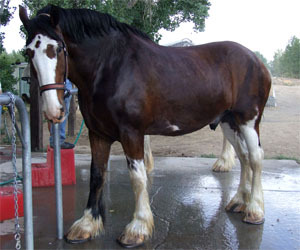 Throughout its history, the ClydesdaleHorse played an important role in the improvement of several draught horse breeds. 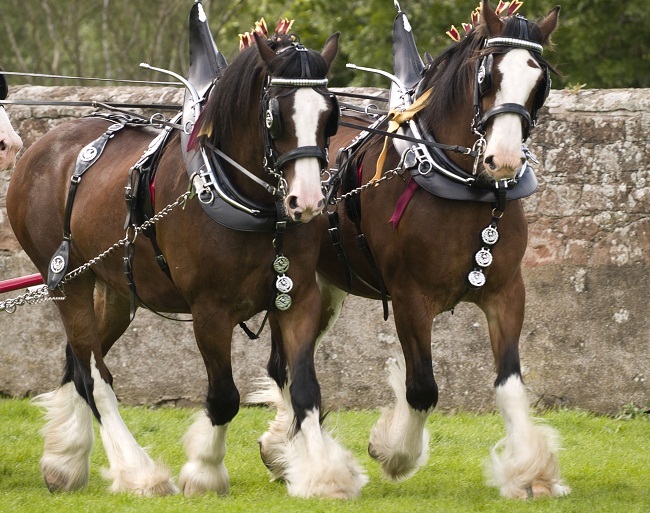 Their first stock originated between 1715 and 1720 in the Lanarkshire district in Scotland’s Clyde River Valley, from which it gets its name. 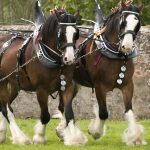 In Scotland, it was primarily bred for agriculture and hauling and is still used for the same.It was the 6th Duke of Hamilton who imported Flemish horses with an aim to improving the then existing line of equines in the region. 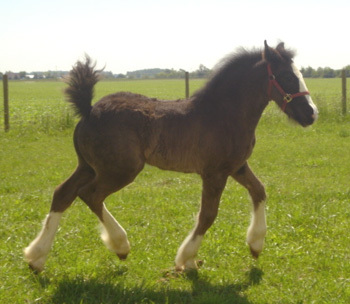 Over the years, the breeders took to selective breeding and made sure that the lineage is maintained properly. 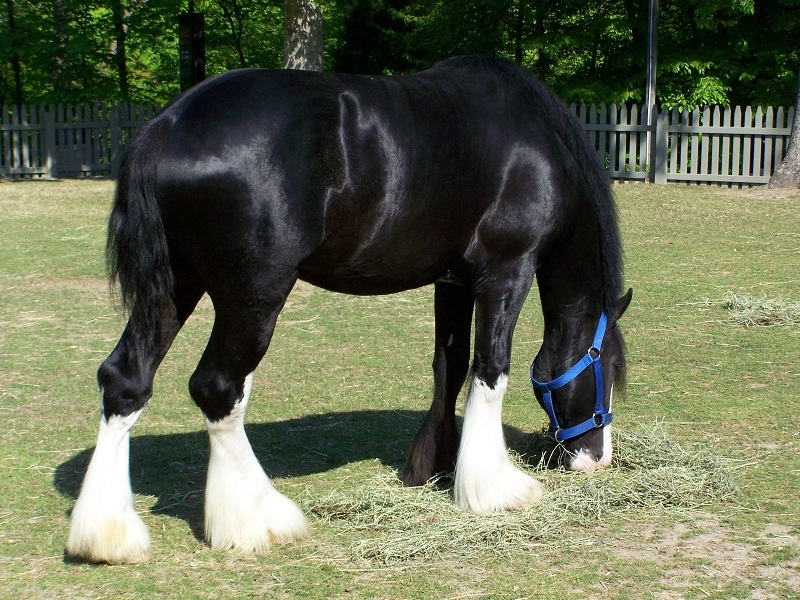 They diluted their blood by introducing the blood of the Shire horses to infuse further refinement. 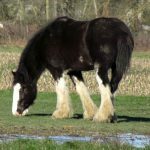 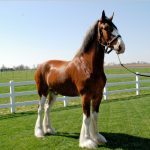 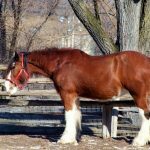 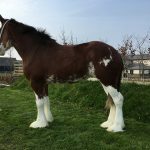 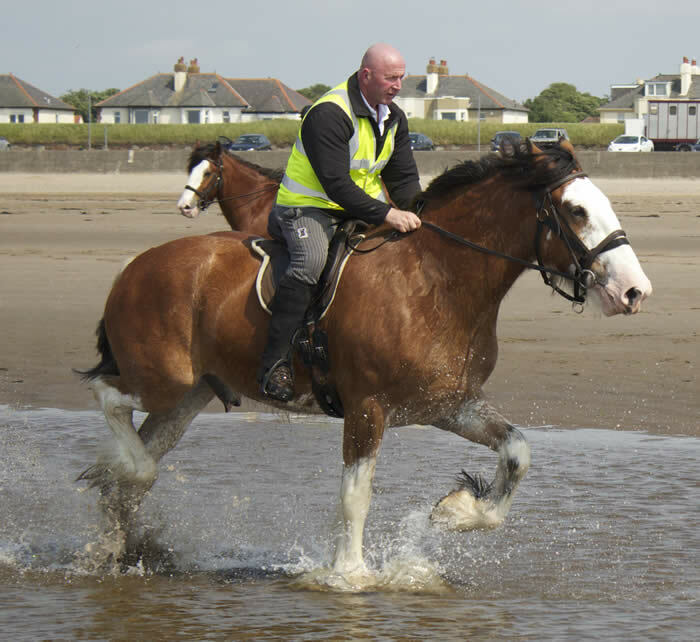 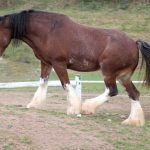 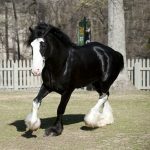 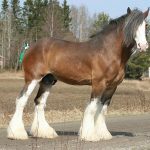 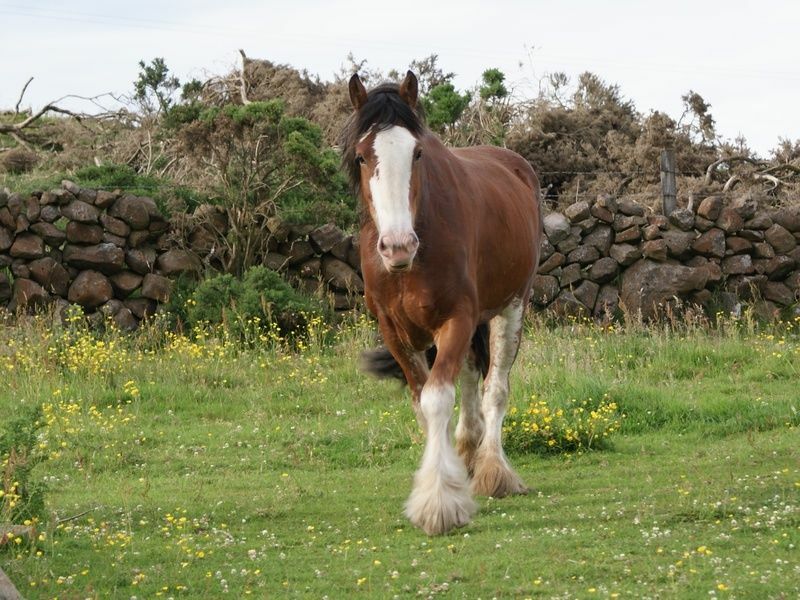 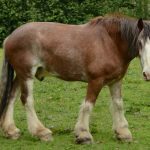 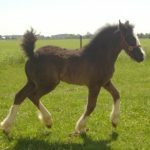 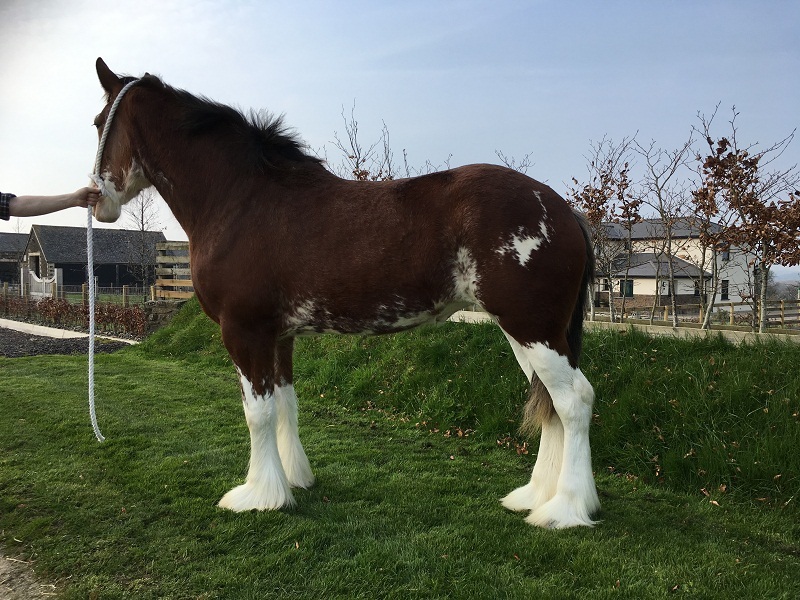 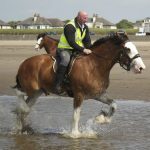 The result was a grand success, as the Clydesdale emerged as a very successful and influential breed with its bloodlines being spread throughout the world. 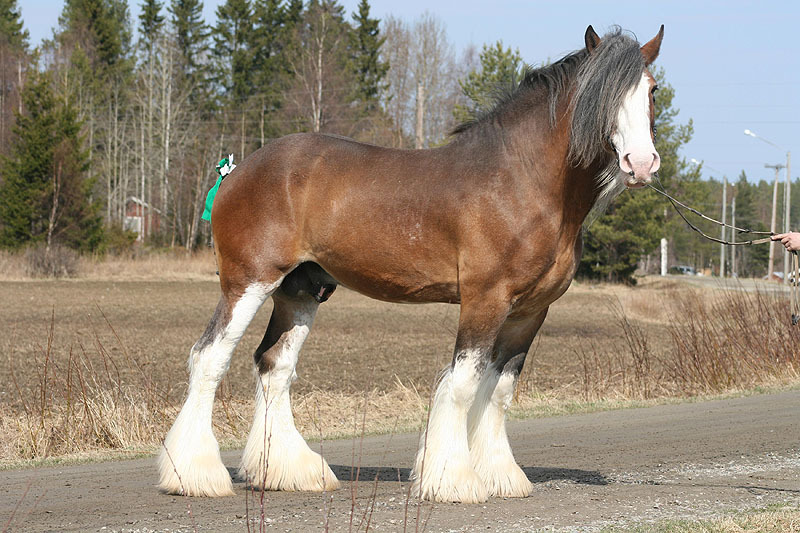 It was the Scottish settlers that took the Clydesdale horses for the first time to Canada. 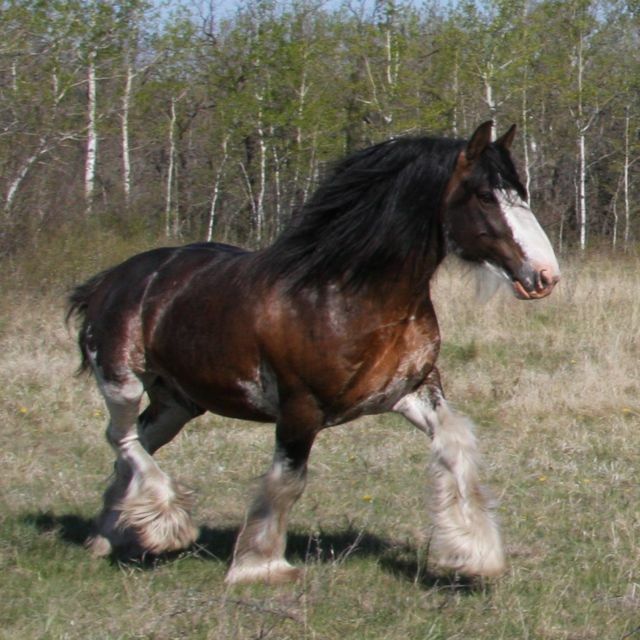 Later, in the late 1880s, they were introduced to the US. 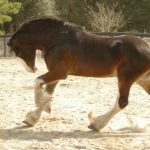 With less than 500 individuals remaining in Canada, this horse has been enlisted as an ‘At Risk’ breed in the country. In February 1887, ‘The Clydesdale Horse Society’ was founded on the eve of the Glasgow Stallion Show, and was launched formally in June. 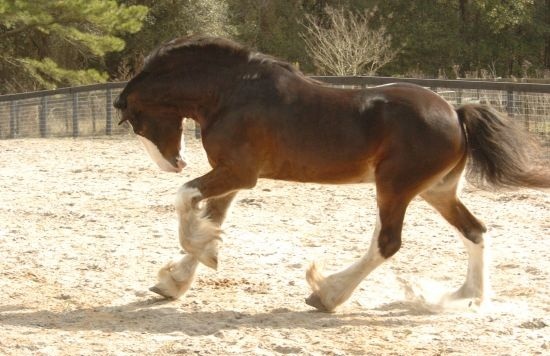 They published the Clydesdale Horse Stud Book in December of the same year. 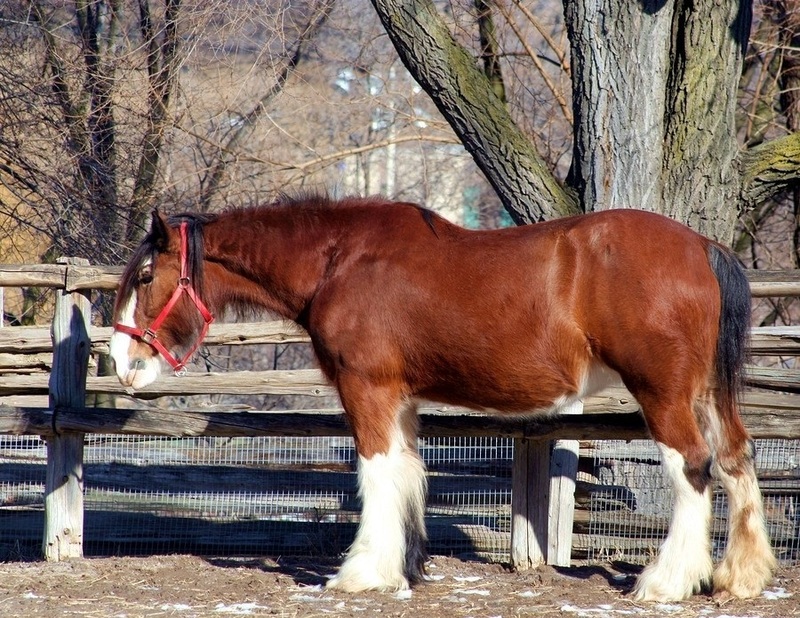 The Clydesdales were exported to Britain during the 19th century. 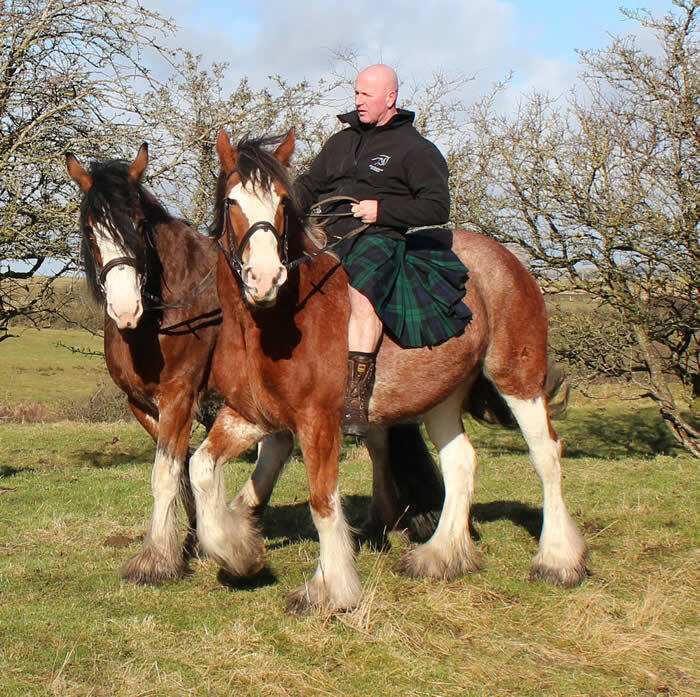 Since then, their significant contribution to both the World Wars is indisputable and is still remembered. 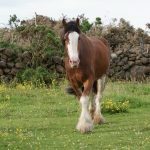 They were also extensively used for agricultural purposes until in 1975 their population dropped dramatically.At present, with around 5000 individuals remaining, the horse has been on the watch list of the American Livestock Breeds Conservancy. 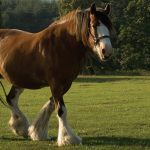 In the recent past, the breed has been made more famous by the beer company ‘Budweiser’after being used extensively in their commercial adverts. 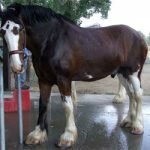 A horse named Poe from Ontario, Canada was considered as the world’s tallest horse, while its owner wanted the Guinness Book of World Records to confirm it.